The loss of your home can be devastating. For homeowners in the State of Florida, the foreclosure process takes several months giving most homeowners time to try and resolve the problem. 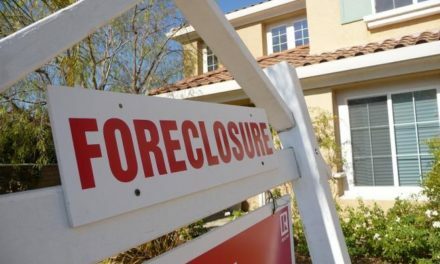 In Florida, a foreclosure starts with a lawsuit that is served on you along with a summons to come to Court. Most people just do not understand what a lawsuit is and that they have been sued by the mortgage company. If you do not respond to the lawsuit, then the result at some point will be a foreclosure sale which will result in the loss of the home forever. In the last few weeks, we have had several homeowners come into see us on our free consultation after the foreclosure sale. The homeowners were unaware that they had already lost their homes at the conclusion of the foreclosure sale. Simultaneous with the mortgage company offering the homeowner help, the mortgage company had filed a lawsuit and told their attorneys to foreclose on the home. The mortgage company seemed to be speaking out of both sides of it’s mouth. A Chapter 13 Bankruptcy filing stops a Foreclosure in its tracks. If the homeowners had come to see us at any time prior to the foreclosure sale, then we could have filed Chapter 13 and stopped the foreclosure by invoking the “Automatic Stay” provision of the Bankruptcy Code. This powerful provision of the Bankruptcy Code mandates that all collection activity stops the very second the Bankruptcy Petition is filed. Once in Chapter 13, we could have either entered the Bankruptcy Court’s Mortgage Modification Program or proposed a plan to pay back what is past due. Foreclosure is confusing. Dealing with creditors such as mortgage companies proves to be difficult over and over again. We are here to help. These are issues and problems which we deal with every day. It is always best to have an attorney on your side. Call us today for a free consultation.